There are several posting Turner Ashby’s death picture today. After all, it was on this day that the “Black Knight”* met his end, just outside Harrisonburg, Virginia. As for me, I’ll opt out on posting that pic, and any lengthy account of the circumstances surrounding his death… but, will post some of my thoughts on the man. The most obvious of these connections are “associative”… in that many a relative served under Ashby in the first year of the war… including one great great grandfather. Regretfully, that’s about as far as “memory” goes with those sorts of connections. I could list all of my relatives, but really… I see no point, as it doesn’t tell us a great deal. Apart from that, there are no family stories of our familial “military association” with the man. On the other hand, one sole encounter between Ashby and civilian kin does linger… and has stuck with me ever since hearing about the story, wayyyyyy back in my youth. I have no idea when it happened… perhaps in the very early days of the Valley Campaign in 1862. Indeed, the story left such an impression on me that I carried on that tradition of naming… because both the encounter and familial associations. Not only does it bring back a family memory of a brief encounter, but that military association with, truly, a daring cavalier. I do indeed have great admiration for Ashby. Yet, I don’t let that admiration cloud my overall view (a realistic view) of the man. In the same token, I don’t allow my awareness of his shortcomings hinder my admiration. There’s simply something in me that wishes to keep a balance between the historian and the heritage’ist with him… and it may be that this is a feature that carries over from similar efforts, on my part, with history as a whole. On looking back, perhaps one of the greatest things that struck me about Ashby was his part in the taking of Harpers Ferry, in April 1861. David Hunter Strother mentions encountering him on April 18, but, really, it’s his statements of April 16 that seem to linger with me more. In this instance of the 16th, we find a different form of… dare I say… treason. No, it’s not treason against the United States that strikes me most (although, yes, that was in play at the time as well), but, in fact, Ashby’s treason against Virginia (taking the orders of former Gov. Wise, who took actions that were clearly outside his authority). I don’t think I need to elaborate, in this instance, but refer the readers to the April 18 & 16 links. To me, the combination of the heritage (familial association and the sole encounter) and the history from/of Turner Ashby… good & bad/bad & good, in fair and equal parts… make for a richer legacy that winds down through the family tree, to me. This is the reality of the man and his story. Ah, and as for that lad who gained a name from the “Black Knight”… Major Ashby Roudabush did not take on a military career in later life, but took up the family business and… without meaning to sound too brief in describing the man’s life… became a very successful miller. *The title of “Black Knight” goes back to Turner Ashby’s days as a “jouster”… not to be confused with “jousting” that seems to come to our minds from the days of knights, but as in a different form… a sport… that was quite popular in years before the war. **What makes this even more interesting is that, in my youth, I used to play along a creek, near Honeyville, Virginia, where once there stood a mill. It wasn’t until many years later, when reading a county atlas, that I realized that the mill was actually one owned by Peter William Roudabush, and the incident may have taken place at that very site. 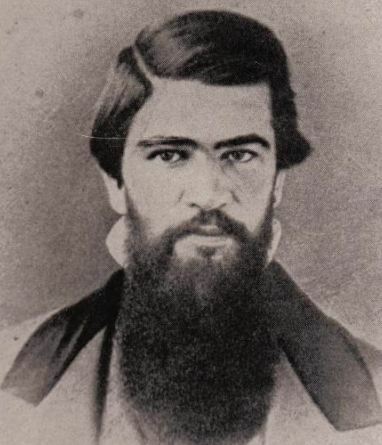 ← More on Samuel Windle… a response from a descendant. Thanks – this is a great mix of family lore and public history. BTW, was Major Henry born in February, or August (as the marker says)? I know markers are sometimes wrong. Thanks, Jeffry. 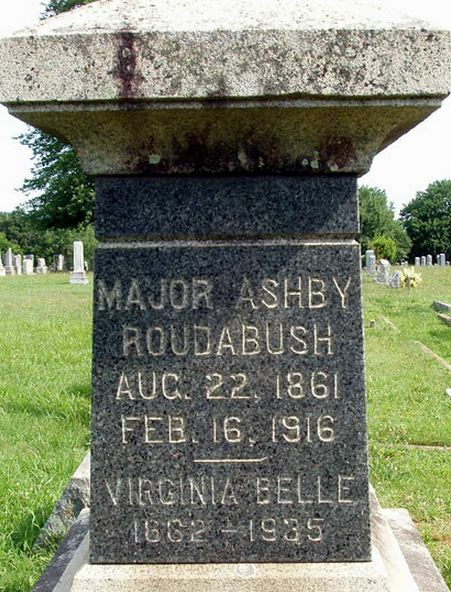 I think August is the correct month of Major Ashby Roudabush’s birth, and it lines up pretty good on the timeline with the story. 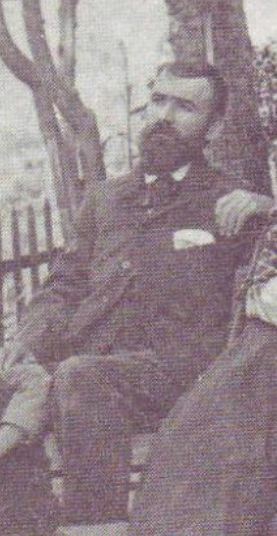 Peter William Roudabush (born 1826) was the “older” Roudabush, and he actually ran at least two mills… one of those being in Honeyville. The Roudabush family was actually a long line of millers, going back to Germany, tracing back to Hans Peter Raudenbusch (born ca. 1600). In addition to being a miller, he was also the Courtier of Steinsfurt, Baden-Wurttemberg, Germany. The Kurphaz Government paid homage to him after the Thirty Years War by giving him the flour mill, which still stands. I was reading this the other day and wanted to reply. It is always interesting to hear more of back stories on events. closely resembles Major at the beard and hairline. If so – is this Virginia Bell McAllister Roudabush? I have no idea who the children are either. I would love to know the original source of the pics, and several years back I lost my old email archive, so I have no way anymore to know who had sent these to me. Yes, that’s Major Ashby on the right. I’ve seen the pic before also. However, I don’t know that I’ve seen everyone identified in the pic. Not sure, but think these pics were either in the Page County of Plenty book, or the Shenandoah book. To whom they belong… wish I knew. Would be nice to have higher res quality pics. If I dare to be presumptuous, the young boy he is holding would be close in age enough to be Kyle Major Roudabush – who would be 5 in 1899. The other two seated at the table would be close enough in age to be his daughters Lula and Avis, but I am not willing to go that far out on a limb on any of them…. Also interesting to the pic – the two girls wearing high-necked blouses look like twins to me. One thing that constantly stands out to me in old pictures is the formality with which people dressed. It was not uncommon to see men in a tie and jacket and women in a nice blouse for events that I would go in shorts and a t-shirt to now like a picnic. My grandfather would put on a tie to go to the grocery store, and we’ve lost that sense of pride somewhere.